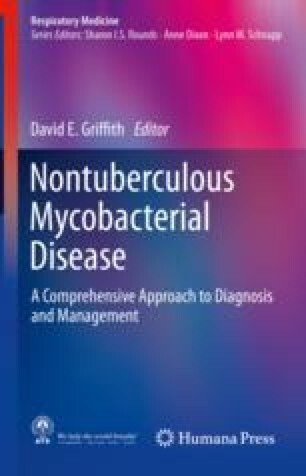 Making a diagnosis of nontuberculous (NTM) disease is fraught with practical difficulties. For NTM pulmonary disease, there is rarely one piece of data that establishes or eliminates the diagnosis. In the case of NTM extrapulmonary disease, a high index of suspicion is required, and technical challenges can preclude rapid diagnostic certainty. In all instances, a measured and judicious approach is required when considering the possibility of NTM disease, and careful consideration of the individual patient, while adhering to general guiding principles, is necessary.